AOL Reader: Feedly Competitor Or A Google Reader Alternative Runner Up? Like a phoenix, Google Reader’s death led to its resurrection. After its death, half-a-dozen alternatives arose from Google Reader’s ashes – some of which barely work. Others, however, eclipse even Google Reader’s functionality. One such beta software comes from a surprising source: America Online, or AOL. AOL Reader brings three big improvements over Google’s product: First, its servers provide a noticeably faster reading experience than even that offered by Google. Second, it uses a superior hotkey map. Third, it offers better view options. On the downside, and potentially a deal-breaker, AOL Reader lacks a dedicated smartphone app. However, AOL does offer an API for developers, which extant reader applications have yet to utilize, and the site works extremely well over mobile browsers. 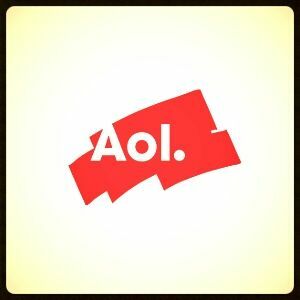 Overall, AOL Reader provides a sterling reading experience with a great deal of room for potential growth. For those of you looking for a Google Reader replacement, this article covers AOL Reader’s major features, the feed import process and some problematic areas that I hope they will correct shortly. Ease of adding new feeds. Hotkeys, identical to Google Reader. Importing your feeds: Getting started with AOL Reader is extremely easy. Before doing anything else, you must have an AOL account. If you don’t own one, sign up . After getting an account, you’ll then need to sign up for the beta. Google has eliminated the feed importation process. Fortunately, Reader can directly connect with your Google Reader account and trigger an OPML backup of your feeds through Google Takeout How to Download & Back Up Your Gmail & Other Google Data How to Download & Back Up Your Gmail & Other Google Data We’re storing more and more data in the cloud these days. Email, contacts, documents, photos, calendar entries - you name it, it’s on Google’s servers. But what happens when the services we rely on go... Read More . Connect with your Google Reader Account: AOL provides a simple one-step verification using Google’s Oauth process. Just allow AOL to access your Google account and the rest is handled by AOL. Importing an OPML file: To get your Google Reader OPML file, download the file from Google Takeout. This file comes zipped, which requires that you unzip it. Next, open up the unzipped folder and find the XML file containing your feeds. After that, AOL Reader will handle the rest. AOL Reader even handles folders, which greatly eases the burden of organizing your feeds. The advantage of an OPML file is that even after Google removes your feed data from its servers, if you’ve made a backup, so you won’t lose the data. Variable views: Once you’ve imported your feeds, you’ll have the option of customizing the appearance of the reader interface. AOL offers several kinds of views: pane, card, list and full. Card view allows you the ability to view multiple articles at the same time, with the thumbnail image and a bit of introductory text. List view allows you to view the most number of articles at the same time. Pane view displays both a list and a full version of a selected article. The full version may appear in either the right pane or at the bottom of the screen, depending on the size of your browser window. Full view shows the most amount of information, including the beginning of the article and the thumbnail image. Adding new feeds to AOL Reader doesn’t require much effort. Simply click on the “+” button at the top of the left pane, which will bring up the “Add Subscription” window. From here you can perform four actions: (1) browse feeds by subject; (2) search for new feeds; (3) cut and paste RSS feed links; (4) import OPML files. AOL Reader’s hotkeys remain nearly identical to Google Reader. If you aren’t familiar with it, I highly recommend familiarizing yourself. 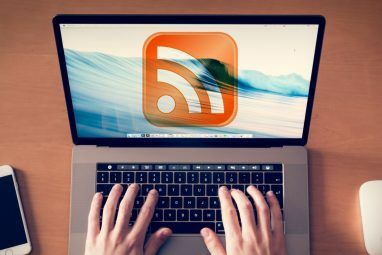 We have a Google Reader cheat-sheet ready for you, which novice RSS reader users absolutely need to use. It will save you a ton of time. I found that one of the best improvements over Google Reader’s keymap was the alteration of the “V” function, which traditionally opens links in a new tab, stealing the browser’s focus. AOL fixed this issue, by making it open the window in a background tab. 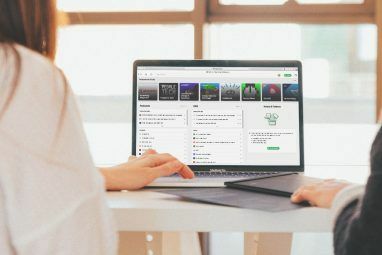 The change greatly improves the speed and efficiency of reading RSS feeds since you can pop open multiple tabs while simultaneously reading feeds. Organizing your feeds with AOL Reader remains similar to Google Reader’s organization. My impression is that AOL provides an easier to use folder creation process. Also, they allow for dragging-and-dropping to reorder folders. One of the best innovations that AOL brought to the world of RSS aggregation is an extremely mobile friendly web design. Browsing to https://reader.aol.com automatically launches you into “pane view” mode. Clicking on an item materializes a menu bar that permits marking an item as read, starring and navigating from feed to feed. As it stands, it’s the only reader implementation using a mobile friendly web design. Everything about AOL’s Reader isn’t roses. In comparison to Feedly, AOL compares well, but not well enough. Feedly’s dedicated mobile app alone makes it impossible for me to use any other Reader service. Also, the lack of a dedicated search tool, for filtering folders and feeds, greatly reduces its value to those relying on such a device. Feedly’s Must Read feature makes it particularly hard to switch over to AOL’s service. AOL threw together a winner in record time. Although it’s currently in beta, AOL Reader represents an overall improvement over Google Reader. It has a superior layout, much faster load times, a site that looks as good on mobile as it does on a desktop and superior ways to view feeds. 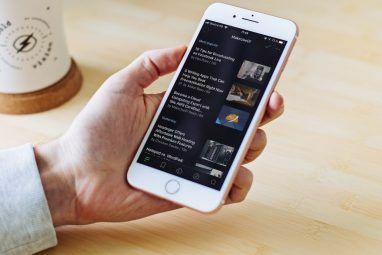 Overall, I would recommend AOL Reader to anyone who uses RSS, but doesn’t rely on a dedicated mobile app or need to search through masses of RSS feeds. For everyone else, Feedly remains at the top of the charts, with AOL Reader as a close second. However, with AOL’s decision to make their Reader API available to developers, Feedly may soon have a fight on their hands. For those of you with a burning passion for RSS, check out my free MakeUseOf Guide on the subject. Does anyone else use AOL Reader and love it? Let us know in the comments. Explore more about: Feed Reader, FeedReader, Google Reader, RSS. It's a free web app that allows you to select which websites contents to keep up with. AOL Reader is the best except the search function. I've been using AOL Reader for a few weeks now. Pretty much since its announcement. I love it. The only thing missing, for me, is the ability to export feeds, but I assume that'll come in the future. That's actually a bit troubling, considering some of our readers have mentioned they're considering a paid, tiered system. That decision might be intentional. It would be a shame, since the reader is so darn good. The major problem I have with AOL Reader is that on their mobile view, there's no "mark all as read" button. That's a pretty serious issue. However, because of the API, there's going to be mobile apps that support AOL Reader in the near future, so we won't need to rely on their website. Correction, I abandoned GReader early this YEAR! Sorry for the mistake. AOL Reader has become my GReader replacement for about three weeks now. I abandoned GReader early this month, and I tried using Feedly, Feedspot, Old Reader, etc. but they don't rub me the right way. I tried stand-alone clients, but never really warmed to them. For a month or so I used Netvibes (cause I had an old account way back when) but too many problems with feed updates torpedoed that option. AOL Reader has a real GReader feel to it, more so than any of the other contenders on the list. It is invisible to the user, so that you can concentrate on the feeds themselves. Overall, it has met my needs for an unobtrusive feed reader. I only wish it had an OPML export option, in case it flounders and I need to jump ship again. Nice! I totally agree with you on the feel of AOL Reader. I'm hoping that they eventually add a "shared" feature, but otherwise, it's the closest competitor out there to Feedly. I really liked the AOL reader but for some of my feeds and how I used them I need a search function. AOL said it would probably be coming but for a fee. I tried Feedly but I hate that for me the menu sidebar must be hovered over to appear. To get it to stay I have to reduce the font size so small I can hardly read it. For now I am using FeedDemon but keep registering for other readers to see if I can find a better fit for myself. Hey Karen, thanks for the comment! I had no idea that AOL Reader was considering charging for the search function (I also had no idea they were actually going to add it, either). I'm on the fence as to whether or not I'd pay. It depends on how much they would charge. Like you, searching through my RSS collection is one of the most important features in a reader. Feedly announced plans to add it in the near future, so it looks like they're going to remain ahead of the pack. Feed search is worth paying for... But how much... Is another question. Hopefully they'll offer an official AOL Android/iOS app and add a search from the mobile device - to date, no service has ever offered that. Thanks for the comment and info! Doesn't America On Line is the parent company of Make Use Of? Sorry, english not my native language. Esteban, no, MakeUseOf isn't owned by corporation. I'm serious, though, it's a pretty good reading experience. I use it alongside Feedly and OldReader (also a great service). Thanks for the clarification! Will try it. Currently, for me, The Old Reader is the best replacement. I prefer Feedly because they have a API for apps. Feedly works great with Nextgen Reader for Windows Phone. AOL Reader is tedious. It doesn't remember my login session on my phone browser. Hopefully AOL Reader can fix that issue, although could that be a browser issue? Your phone might be set to not keep cookies. AOL Reader also offers an API for developers, although no apps use it as of yet. Hopefully that will change soon, though. AOL's best advantage is its fast servers. It's surprising how much quicker it is compared to its competitors (and even Google Reader).